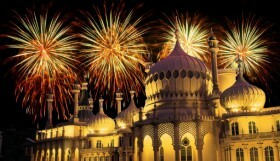 All night vinyls, botanical Herbariums, stunning light shows, racing Santas, Edwardian dinners, floods of artists, ‘conscious insights’, Christmas jumpers, mathematics and Noel Fielding – looks like another weekend has arrived in Brighton and Hove. 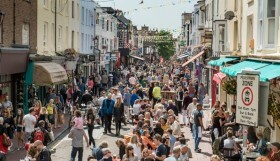 We’ve collected 12 of the best things to do this weekend Brighton 12th – 13th December with some special annual events arriving including Open Studios Show at New England House and the ever popular Santa Dash! This spellbinding festive treat is little way out of town but well worth catching before it finishes this Sunday. 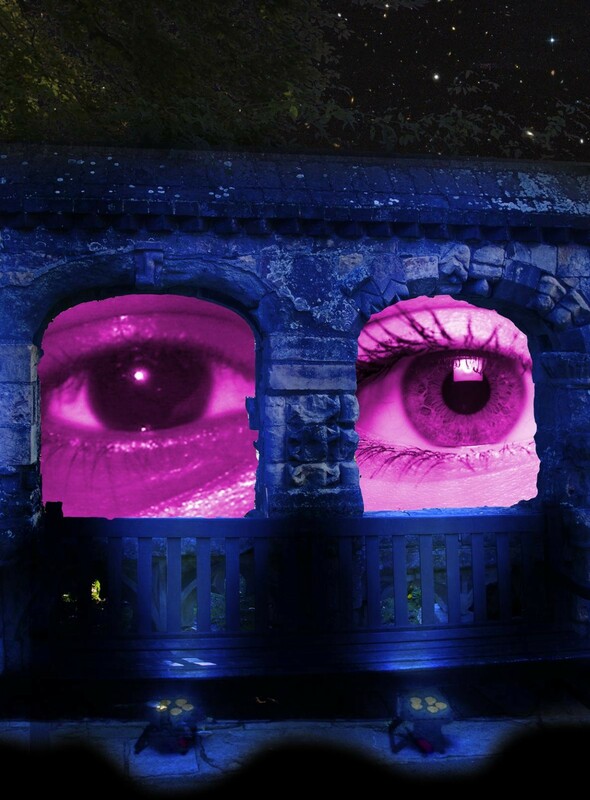 Lewes’ Southover Grange Gardens have been transformed into an Enchanted Park and each night from 4.30pm, the historic gardens have been lit up with an immersive, magical and mesmerising mix of outdoor projections, illuminations, performance and art installations. It’s also your last chance to catch the Magna Carta exhibition at The Keep. Celebrating the 750th anniversary of Simon de Montfort’s parliament and the 800th anniversary of the sealing of Magna Carta, this free exhibition will be in the lobby area of The Keep. Don’t miss the chance to learn about one of the historical cornerstones, not just of the U.K, but the world. 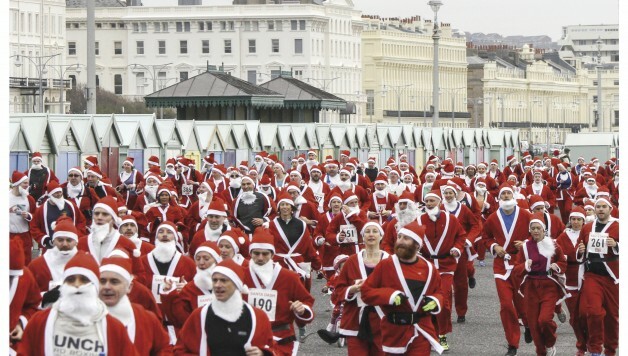 Enjoy the spectacle of thousands of Santas racing through the city or better yet, join in! There’s also a free 400m kids race before the main event at 10:20am. For the grown ups it only costs £17.50 (+£1.50 handling fee) to enter and that includes your race entry, Santa suit and bespoke medal. They are also encouraging every Santa to try and raise a minimum of £20 for our chosen charity, Albion In The Community, helping people across Sussex. This is a Brighton and Hove staple of the festive season. Father Christmas returns to the truly extravagant Royal Pavilion for a traditional treat for all the family this Saturday. After a magical meeting with the man himself, explore the Prince Regent’s party palace on a special exotic creature trail. 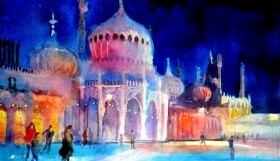 £9.50 per child, Royal Pavilion admission fees apply, price includes gift, all ages. Be sure to book in advance! A delightfully nostalgic exploration of Christmas customs and traditions at Preston Manor. Take a tour upstairs and downstairs in the beautiful Edwardian manor house and enjoy a glass of sherry and a mince pie served in the Victorian kitchens, dressed for the season. An extra special event returns this year. 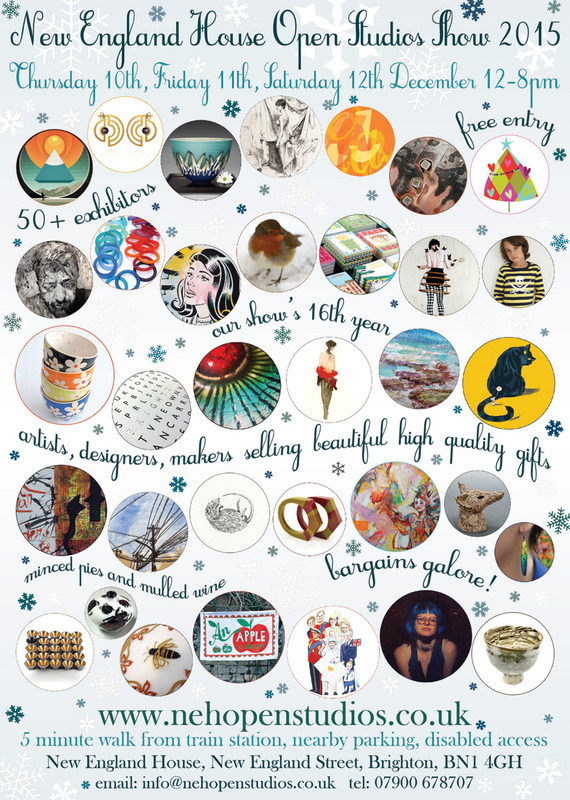 Over 50 artists and makers exhibit and sell beautifully hand crafted items from their studios in New England House. With drawings, paintings, illustrations, prints, etchings, photographic art, sculpture, 3D objects, mixed media, interactive artworks, ceramics, pottery, home wares, jewellery, cards, stationery, artist books, natural skin care products, textiles, knit wares, accessories, baby and children’s clothes, wooden gifts, stocking fillers and lots more. Entry is free. This exhibition is the product of five encounters between art and the strange world of mathematics. Each artist takes their own distinct approach to overcome the enormous language barrier that renders mathematics almost impenetrable to the outsider, exploring its symbolic languages, cultural edifices and generative powers in a multi-sensory show. On Saturday evening visual art is meeting plant science in Brighton and Hove. Artist and botanist K. J Braithwaite will take you on a journey through the flora of Brighton City. Only running until Saturday this unusual exhibition will make for an interesting change. Vinyl Veterans The VV crew touch down at Dead Wax Social on Saturday 10th October for an all nighter of the very best in Raw Soul, Heavy Funk, Original Break Beats, Old School & Classic Hip Hop. If your looking for a classy late one, this is just the ticket. 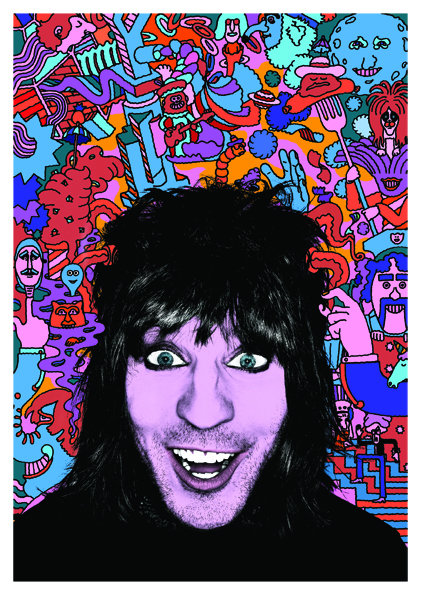 A heady mix of stand up, song, dance and live animation from the strange and wonderful cosmos of Noel Fielding’s imagination arrives at the Dome this Sunday. With muscular support from the loose stylings of Mike Fielding and the physical lunacy of Tom Meeten, you’d be a fool to miss out. Fancy dress optional. It’s National Christmas Jumper Day on Friday December 18th and Sew in Brighton have teamed up with ITV’s charity event Text Santa to raise money for Save the Children. Make some fantastic DIY Christmas jumpers, and have an absolute blast. Simply bring a jumper or sweatshirt to customise, and they’ll bring the tinsel, bobbles, ribbons, rosettes, felt, fabrics, and last but not least – inspiration! Their 3rd birthday at the Caroline of Brunswick of live music, spoken word, dj’s, concious insights – Express Yourself is a strong Brighton staple. In their own words it has “expanded and evolved into a conscious collective community, which is continually growing, attracting the most beautiful Souls who come to express themselves in powerful, authentic ways.” An acquired taste, but then only the best things are! 7-late, Free.